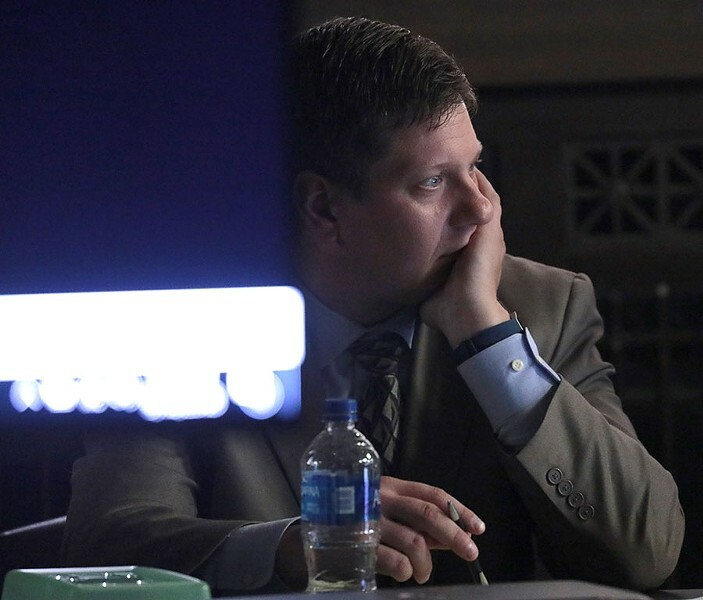 Chicago police officer Jason Van Dyke listens to testimony during the second day of his trial for the shooting death of Laquan McDonald. In October 2012, U.S. Border Patrol agent Lonnie Swartz shot and killed unarmed Mexican teenager José Antonio Elena Rodríguez through a border fence while responding to an incident in Nogales, Arizona. According to an autopsy, Rodriguez was struck ten times in the back with gunshot wounds to the head and arteries. A grand jury indicted Swartz for second-degree murder. During the trial, Swartz testified that he fired on Rodriguez in self-defense after he heard rocks hitting the fence and "was scared to be hit by a rock, [scared] for my partner." He also stated that an officer had already been struck by a rock and that a police dog had also been injured, though testimony by other officers on the scene contradicted those statements. Surveillance video of the shooting shows Swartz approach the fence with his gun drawn, fire through the fence three times, then move along the fence a few feet and shoot ten more times. After stepping back to reload, he fires another three times. Swartz told the jury he couldn't remember doing any of that. He said he did recall sensing a second rock thrower in the area, though, and he also remembered throwing up after the shooting. Prosecutors questioned why Swartz would remember details like throwing up and injuries to other officers yet fail to recall shooting at a subject. The defense called Laurence Miller, a Florida-based clinical psychologist in private practice, to help account for the discrepancy. "What you actually see, what you actually hear, a lot of it depends on what you are paying attention to in that particular moment," Miller told the jury. In the case of a shooting situation, he explained, the brain focuses wholly on survival and can tune out everything else such that "some part of the scene is recalled especially vividly, while others are fuzzy or distorted." As for Swartz's claim to have sensed a second rock thrower in the area, Miller testified that under intense stress, the brain may "magnify perceived threats of circumstances" to such an extent that the nonlethal can appear lethal in the moment. In April, Swartz was acquitted of the second-degree murder charge. (Prosecutors are now trying him on charges of voluntary and involuntary manslaughter.) A juror later elaborated on the verdict, saying that no matter how strong its evidence, the prosecution couldn't prove that Swartz didn't feel in danger of losing his life. 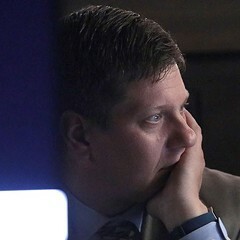 Now Miller has been called as an expert witness by the defense in the murder trial of Chicago police officer Jason Van Dyke, whose guilt would seem to be unassailable based on the infamous dashcam video that shows him firing 16 shots at 17-year-old Laquan McDonald, who first appears to be moving away from the cops, then quickly falls to the ground as the shots continue. 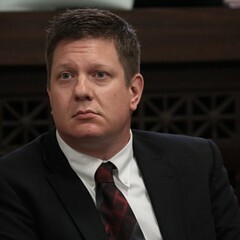 Miller will testify that Van Dyke feared for his life when he shot Laquan McDonald, and that this mortal terror helps explain the discrepancies between his and other police reports and the videotape of the shooting. Specifically, he claims that Van Dyke's account could be the product of a brain under immense neuropsychological stress rather than a deliberate, self-serving attempt to obscure the facts of the case. During open court in June, Cook County judge Vincent Gaughan cleared Miller's testimony after weeks of back-and-forth between prosecutors and Van Dyke's defense team about the admissability and even the relevance of his testimony. "The jury does not need Dr. Miller to tell them what thoughts were going through the defendant's mind before and during the shooting, because only the defendant can know that information," prosecutors maintained. 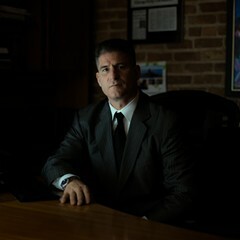 Miller specializes in working with law enforcement. He's written extensively about officer-involved shootings and the use of deadly force, with a focus on what happens neurologically in such incidents. 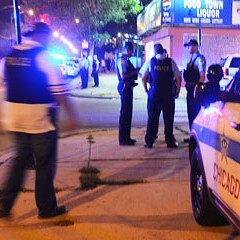 In a 2011 article published in the International Journal of Emergency Mental Health, Miller contends that approximately a third of officer-shooting cases involve a distortion of memory "to the extent that an officer's account of what happened differs markedly from the reports of other observers on the scene." 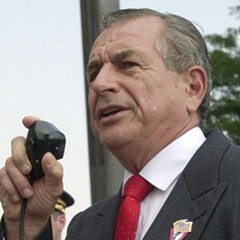 According to Miller, even significant differences between video or eyewitness testimony and police accounts of shootings shouldn't automatically be taken to show that an officer was "lying or consciously distorting his or her report," because memory distortion is a side effect of the brain's hyperfocus on immediate danger. In critical shooting situations, Miller says, "the brain naturally tries to tone the hyperarousal." In effect, the parts of the brain that help with memory storage are shut down, so the brain can respond to perceived threats rapidly. Under these circumstances, officers' recollections of their actions during a shooting may be wildly off-base or missing entirely. The jury's still out on Miller's claims. According to Jordan Grafman, a neurology and cognition professor at Northwestern University, there is some data that suggests persistent stress can affect a person's memory, but much more testing is needed before any further conclusions can be drawn. Lab experiments on rats have shown that "under conditions of persistent stress, there is neuronal loss in the hippocampus," Grafman said. "It may affect it enough that it then affects what we would call episodic memory, conscious retrieval of what just happened." But rats are rats, and employing similar experiments on human subjects is obviously problematic. "I can't go to Northwestern University and say I want to stress people out for years" in order to conduct a controlled experiment, Grafman said. "So, if you're asking me do we have very certain data about that, we do with animals," he continued, "but [nothing] comparable to humans." Grafman also noted that many of the memory-distortion studies Miller refers to rely on subjects' self-evaluations or interviews after the fact—not exactly clean data. Moreover, he said, there are other factors that can contribute to distortion of memory that need to be acknowledged. "There is always going to be individual responses depending on everything from genetics [to your ability] to handle stress, your psychology, your resilience," he said. "Unless you have a significant amount of detail on the individual before the incident it's going to be hard to be precise. "This application of neuroscience and cognitive science is starting to tippy-toe into the court room," Grafman added, "but the research is not quite there yet."